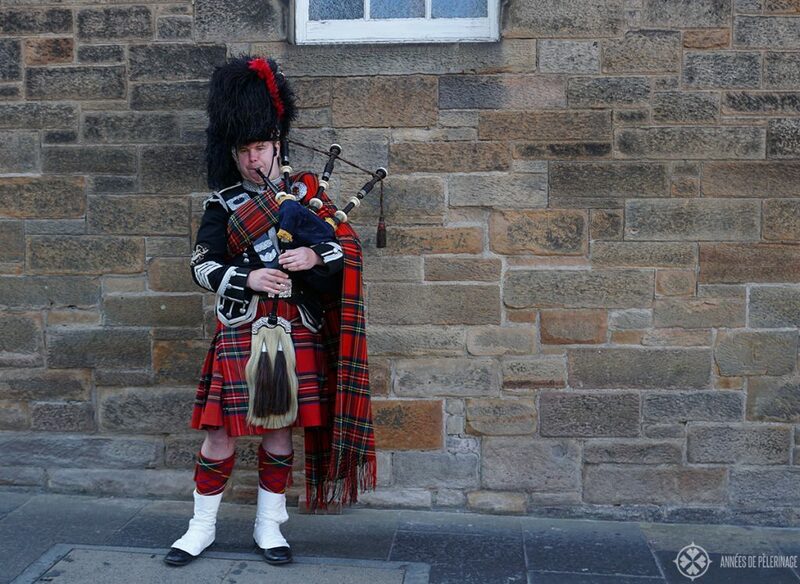 Edinburgh is not only the capital of Scotland but a must-see on any tour through the country of kilts and whiskey. Before my first visit to Edinburgh, I was honestly considering to skip the city altogether (a major mistake!). You know, I wanted to see the beautiful nature in the highlands, wildlife, and pristine nature. Little did I know that there are so many amazing things to do in Edinburgh, Scotland. Obviously, I don’t want you to make the same mistake. So, I compiled a list of the top Edinburgh landmarks. 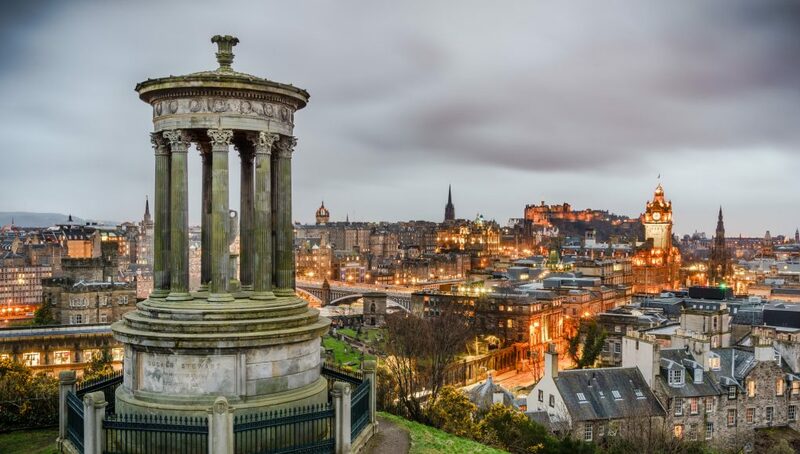 You will probably need around 3 days to see it all without rushing, but depending on your available time you might want to skip a site or two on your sightseeing tour through Scotland’s capital. Wondering what else to do in Scotland? 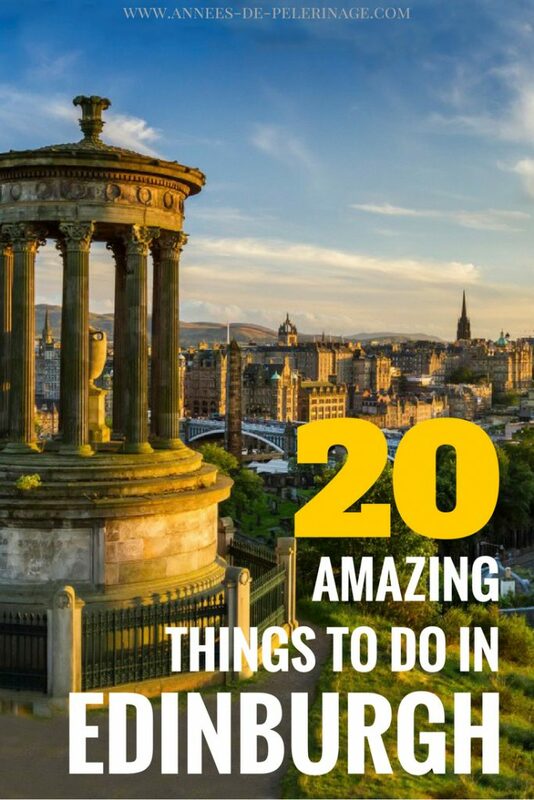 Then read my list of the 20 best things do in Scotland! Edinburgh Castle really should be at the very top of your list of things to do in Edinburgh Castle. The ancient fortification is loaded with history and is home to a wonderful military museum. As it is located right in the heart of the city, it also offers a spectacular view of all the royal grandeur of the city. Pro tip: Be here at noon (precisely one o’clock), when the gun is fired – except on Sundays. Follow the tradition dating back to 1861 and set your clock accordingly. 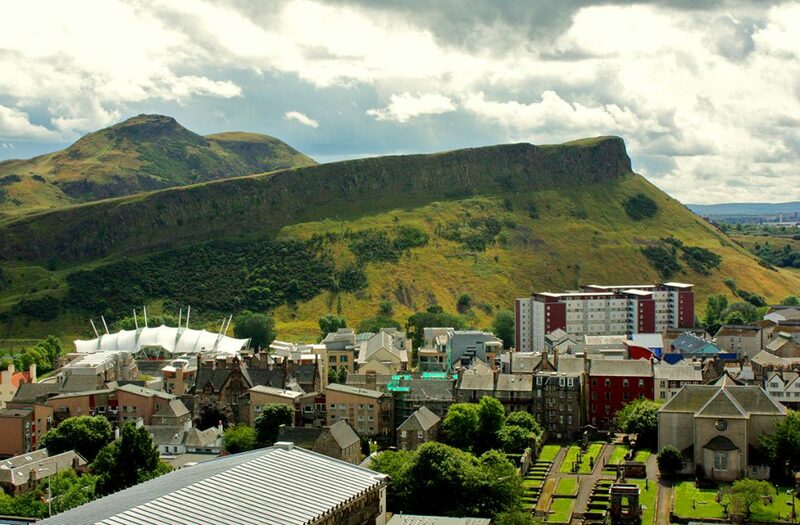 King Arthur’s Seat is an imposing mountain in the east of Edinburgh. It’s probably the most favorite sightseeing spot among tourist, as the view of the city from the top is truly spectacular. 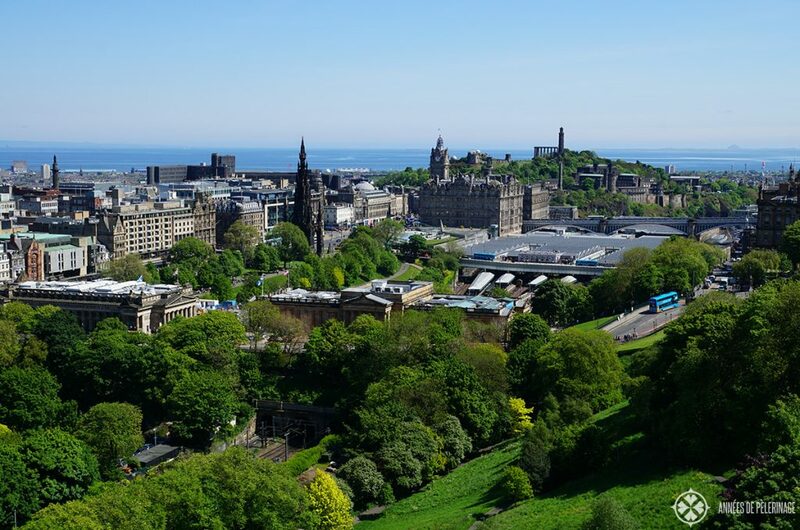 It also gives you the opportunity to enjoy the beautiful Holyrood park surrounding it and to escape the vibrant city life for an hour or two. Edinburgh is a city of festivals. 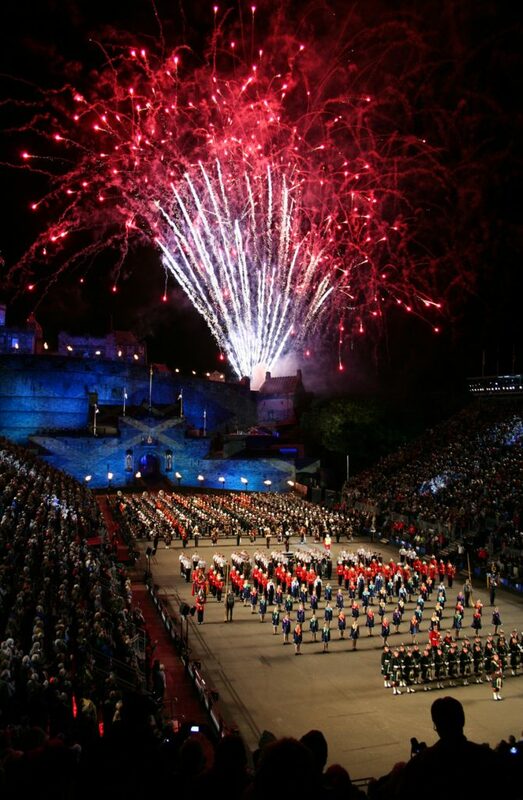 The most famous of them is certainly the Royal Edinburgh Military Tattoo. But there is also Hogmanays, the Fringe, the Edinburgh Art Festival or the International Fim Festival. Most of them are held in August, so this is probably the best time to see Edinburgh. Find out more here on the official website. And talking about a wonderful view. 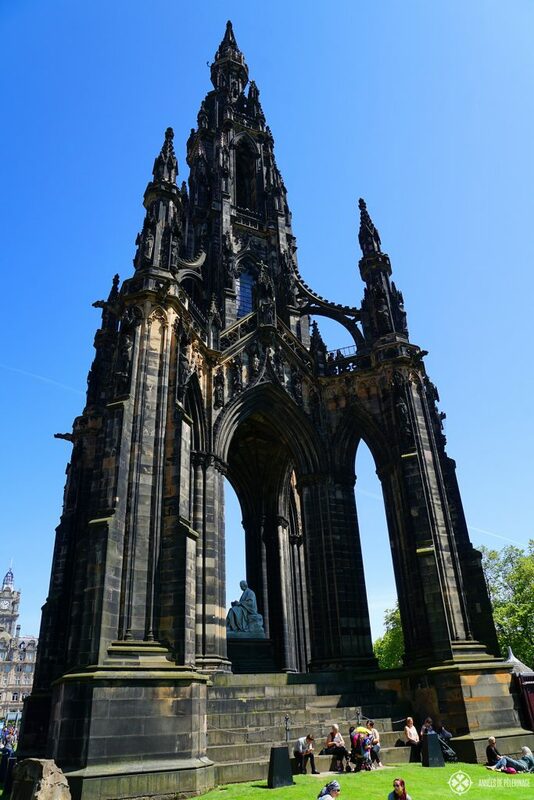 Right in the heart of the city, you will find the Scott Monument. Built to the Scottish author Sir Walter Scott, it is the largest monument ever built to a writer in the world. If you are claustrophobic, you might want to skip climbing the incredibly narrow staircase to the top. 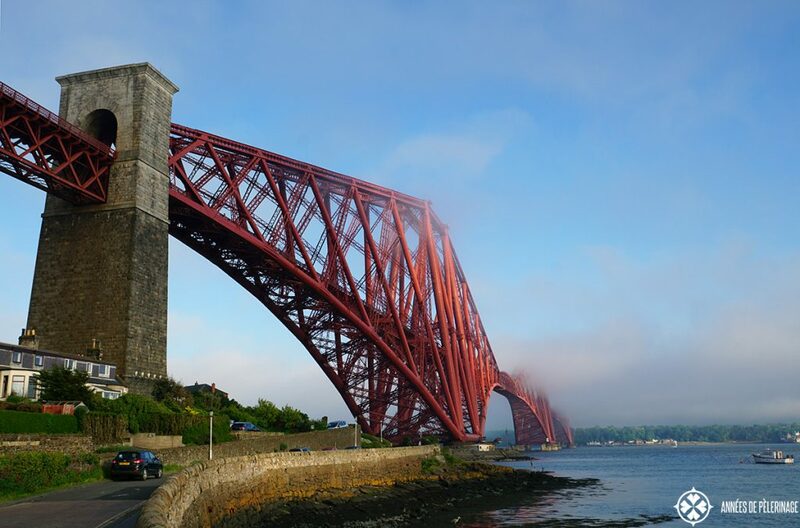 The Forth Bridge is one of the most beautiful cantilever railway bridges in the world. It is a UNESCO World Heritage Site and located only a couple of miles west of the city Center. As it is a railway bridge you really cannot walk across, but just seeing it close up will be well worth your time. If you are planning to go on a Scotland road trip (like I did; check out my itinerary here), you can easily work in a short stop when entering (or exiting) Edinburgh. 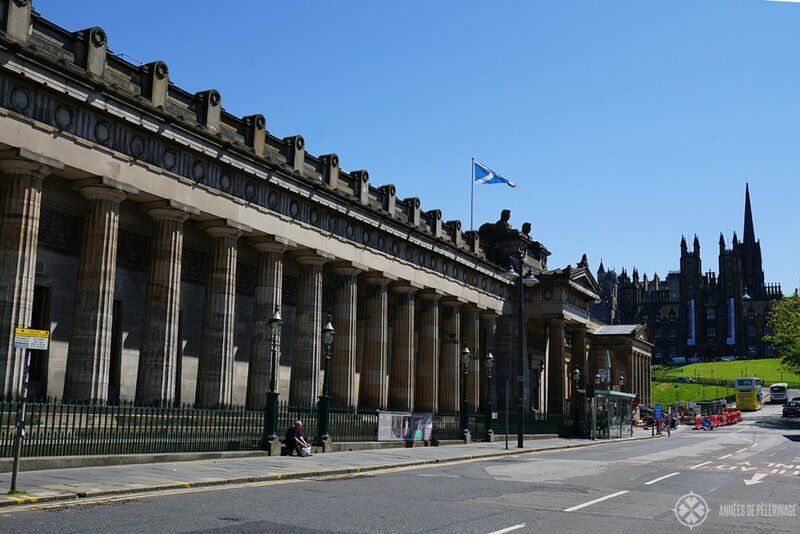 Only a couple of meters away from the Scott Monument, you will find the Scottish National Galleries. This museum is home to priceless artwork from around the world and actually, counts among the top museums in the world. It might not be the Hermitage or the Louvre, but it’s a close second. A good option if you were wondering what to do in Edinburgh on a rainy day. And to be quite frank with you, it does rain quite a lot in Scotland. If you are still wondering what to pack, check out my comprehensive packing list for Scotland. Calton Hill is a photographer’s dream. There are a couple of ancient monuments here which form an imposing foreground for the picture perfect cityscape. On a rainy day, you might option to go here in the evening and see the city lights instead! Pro tip: Visit during the Beltane Fire Festival on April 30. Truly spectacular, but get your tickets in advance. The Balmoral is arguably the best hotel in Edinburgh. It also has a long, long history and is the perfect spot to enjoy a traditional Scottish Afternoon tea (something you really shouldn’t miss!). The hotel is also a must see for any Harry Potter fan, as the Ms. Rowling finished the last book of the series here. (book the JK Rowling suite!). It may rain a lot in Scotland, but the weather is also fairly mild thanx to the gulf stream. 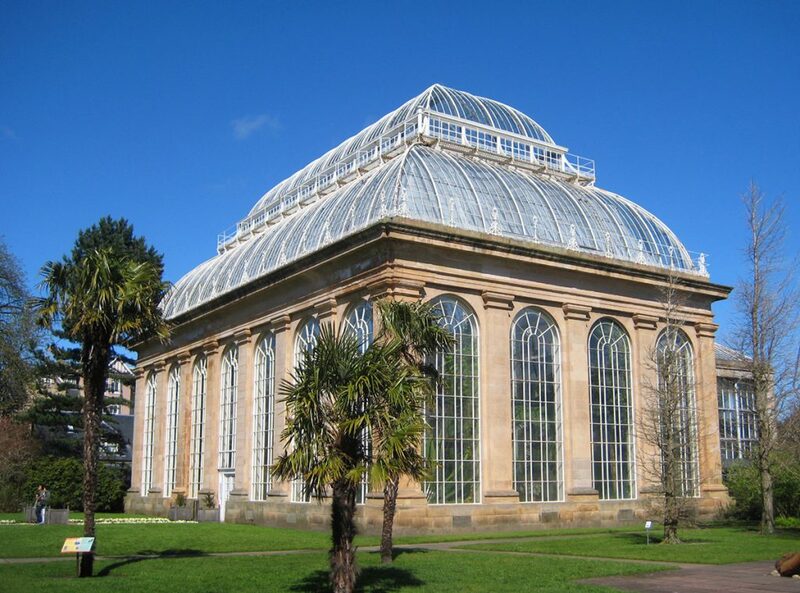 For me, one of the must-sees in the city is definitely the Royal Botanic Garden. I also hate to spend too much time walking around the streets and indoors, so this is really a welcome diversification of your Edinburgh tour. More info on the official website. My favorite museum in Edinburgh is by far the National Museum of Scottland. 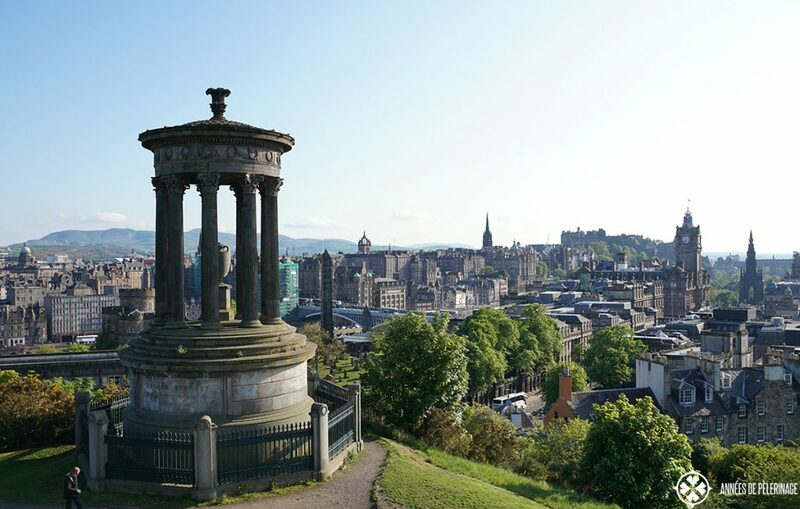 It houses a diverse collection of nature, art, design, fashion and technology and is just one of the many things to do in Edinburgh with kids. Here is the official website. Scotland may have its own parliament now, but Queen Elisabeth II is still the titular head of the state. 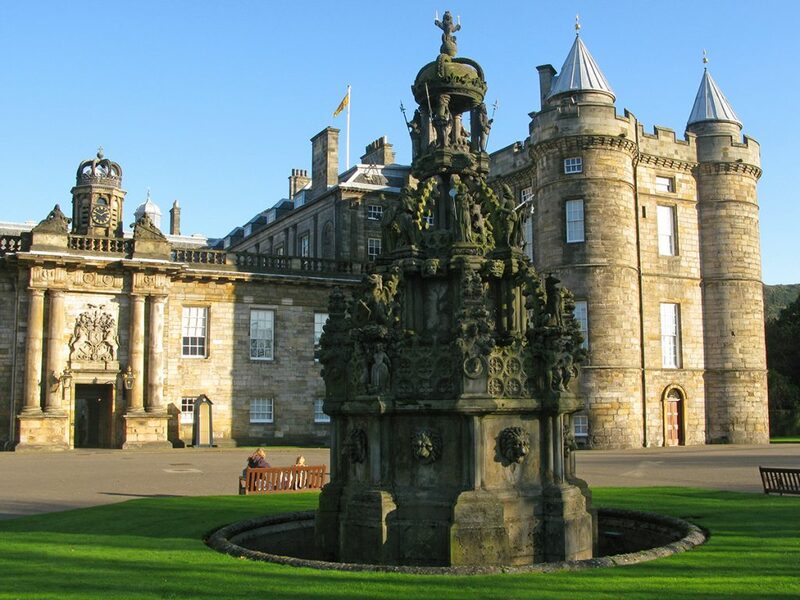 Whenever she visits (mostly each summer), she will stay at the Palace of Holyroodhouse (or simply Holyrood Palace). While she is in residence the castle cannot be visited, but throughout the year you can pretty much get a glimpse of royal court live. Get your tickets here. And talking about Royalty. 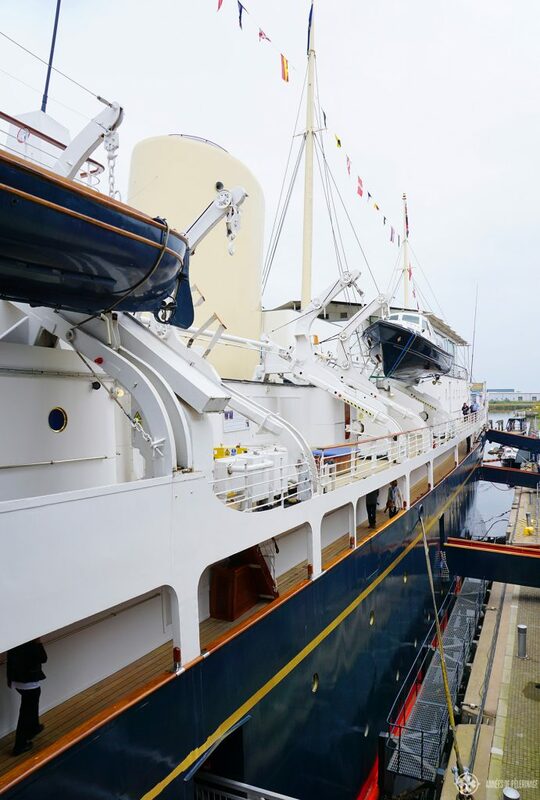 There is another spectacular royal monument to be seen in Edinburgh – Her Majesty’s Yacht Britannia. Decommissioned in 1997, it is now a museum and one of the most visited points of interests in Edinburgh. I thoroughly enjoyed walking through the former apartments of the queen down to the simple galleys in the heart of the majestic ship. Plan your visit here. 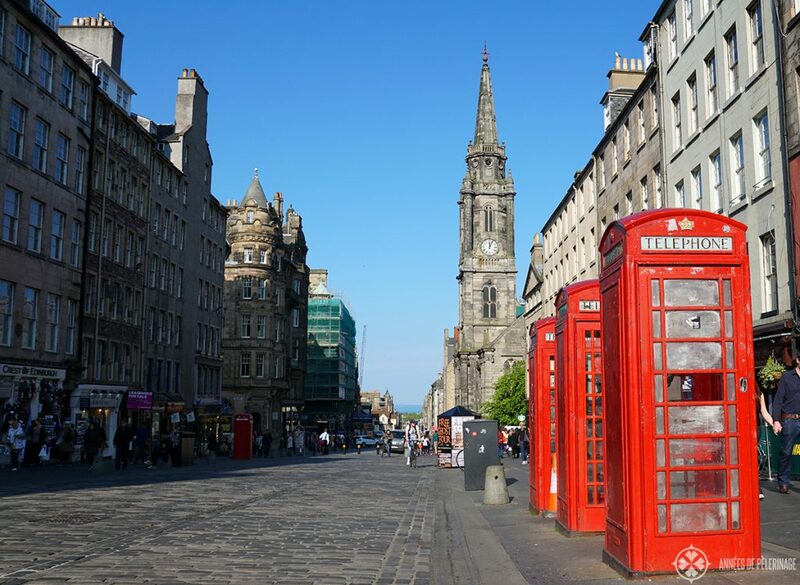 A place you really can’t miss in Edinburgh is the so-called Royal Mile – a succession of streets forming the main thoroughfare through the Old Town. Shops, pubs, restaurants and quite a few tourist attractions (like the Scott Monument or the National Galleries) are lining the street. It’s the perfect place to go shopping – even on a rainy day. 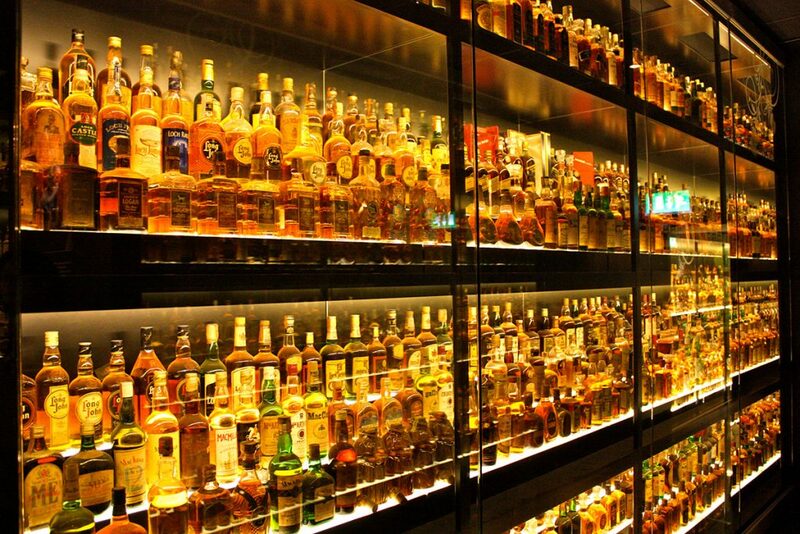 Scotland is famous for its whiskey. On your tour through Edinburgh, there is no way around missing that important part of Scottish culture. One very good place to do that is the Scotch Whiskey Experience. It’s some kind of replica distillery, where you can not only take a tour but also sample the largest Whisky Collection in the world. Obviously, you can also go to one of the many excellent pubs and sample the “taste of Alba” there. 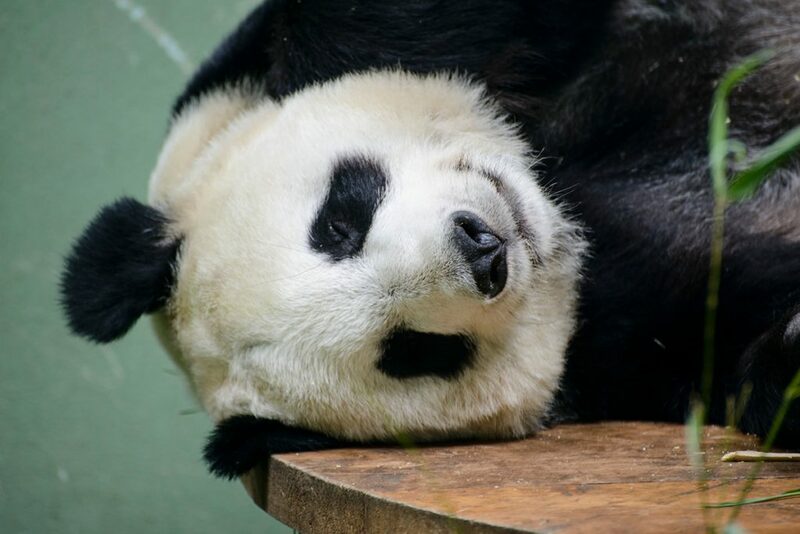 The Edinburgh Zoo is truly lovely. They even have a Giant Panda and a couple of animal walkthroughs. It’s not a must-see, certainly, but a lovely way to get some variation into your itinerary – especially with kids or when you stay more than 3 days. Here’s the official website. 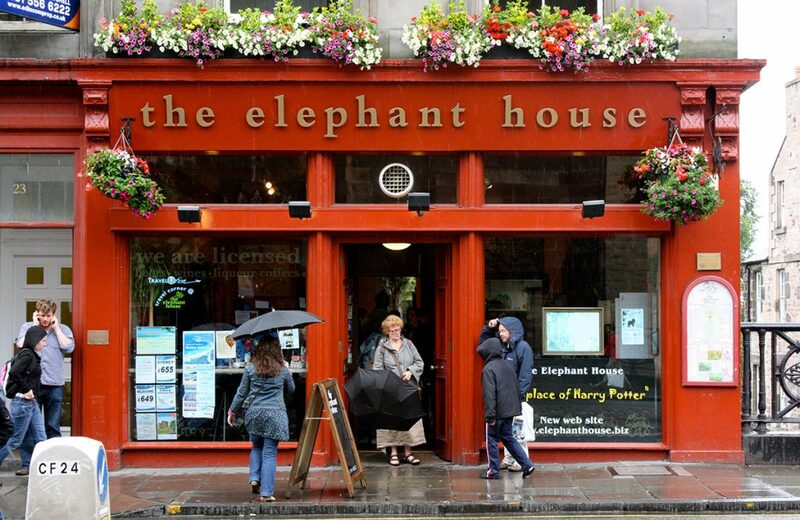 A lot of the places in Edinburgh can be connected directly with the Harry Potter novels or the equally famous movies. JK Rowling did not only write a big portion of the novels here, the so-called Potterow (right next to the Edinburgh University she attended while writing the series) might have been the initial inspiration for naming her eponymous hero. 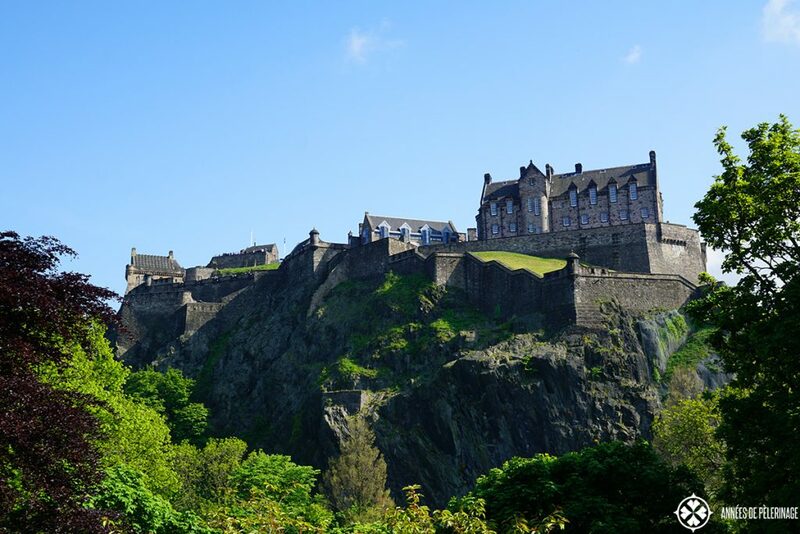 There are quite a lot of tourist guides offering Harry Potter tours and as a fan, you really should put it on your list of things to see in Edinburgh. The Meadows is a large public park to the south of the city center. It’s a place where locals will have picnics in summer, play rugby or cricket. In short, it’s the perfect place to get in touch with authentic local city life. I really have to stress that Scottish cuisine really takes some time to get used to. But done well, it’s really yummy. There is fish ‘n chips, lots of pastries, black pudding and other delicacies you will find all around the British Isles. 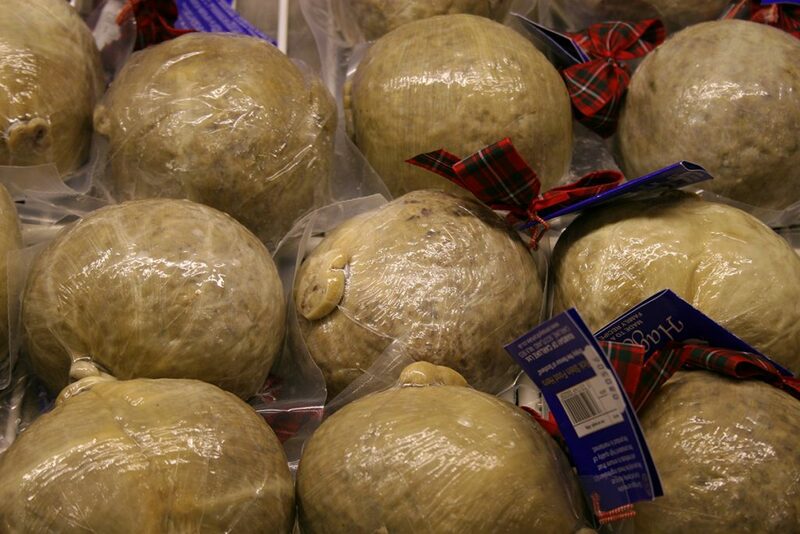 Haggis, however, you will only find in Scotland. In recent years, innards like heart, lung or liver really became unpopular in western countries. Personally speaking, I find the idea of breeding animals for their meat and then only eating certain parts of them quite wasteful, even unethical. And truth be told, haggis, if done well, can be quite delicious. 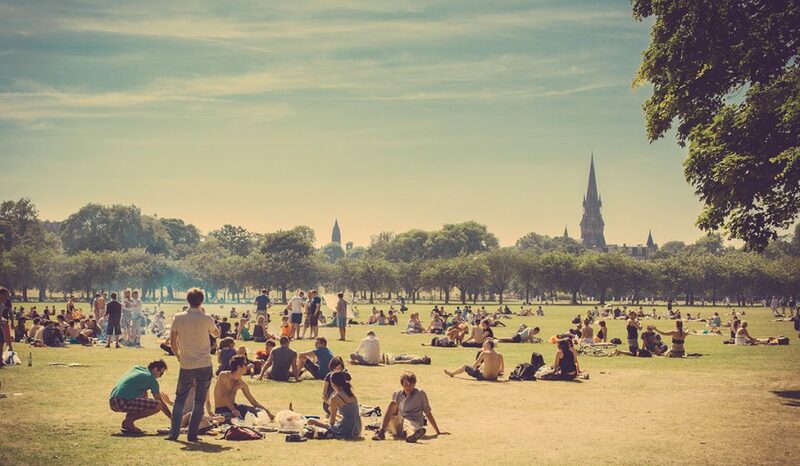 If you are visiting Edinburgh in Summer, you might want to visit Portobello. 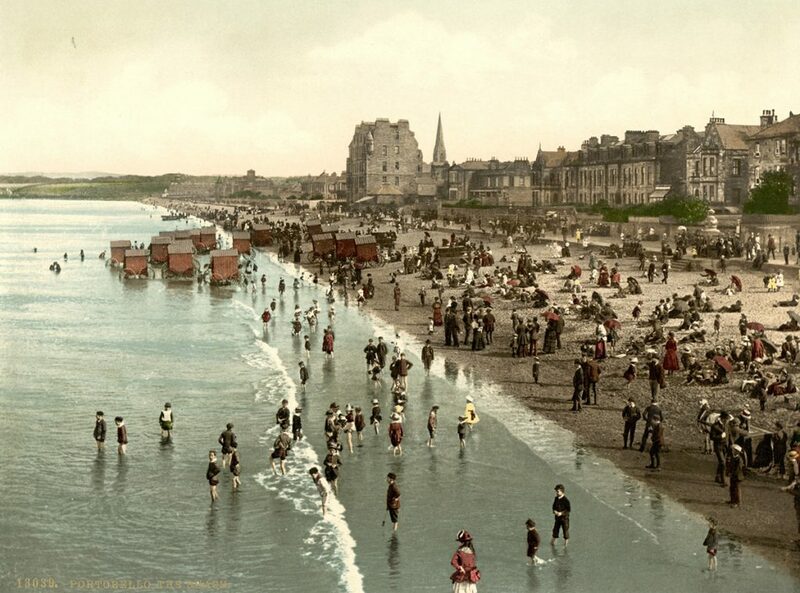 The small suburb of Edinburgh is a popular spot for promenading the wide sand beach and evening swimming. The town was very popular in the 19th century, then was sort of forgotten, but has gotten a lot of newfound attractions in recent years making it worth a visit once again. Phew..this list is already quite long. But to be quite honest with you there are so many other landmarks in Edinburgh you really should not miss. There are a couple of beautiful churches you really should check out along the Royal mile. 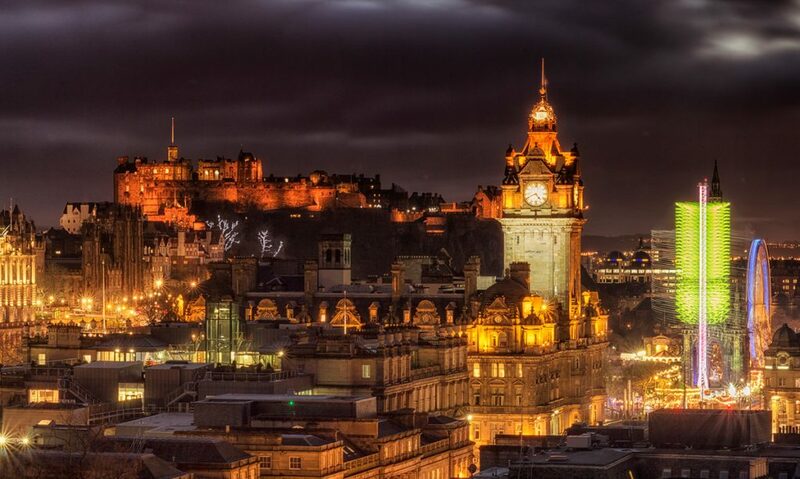 There are also tons of things to do in Edinburgh at night – like going to a pub, to a dancing show or live music. I just felt that these things are quite evident and don’t need a special mention! 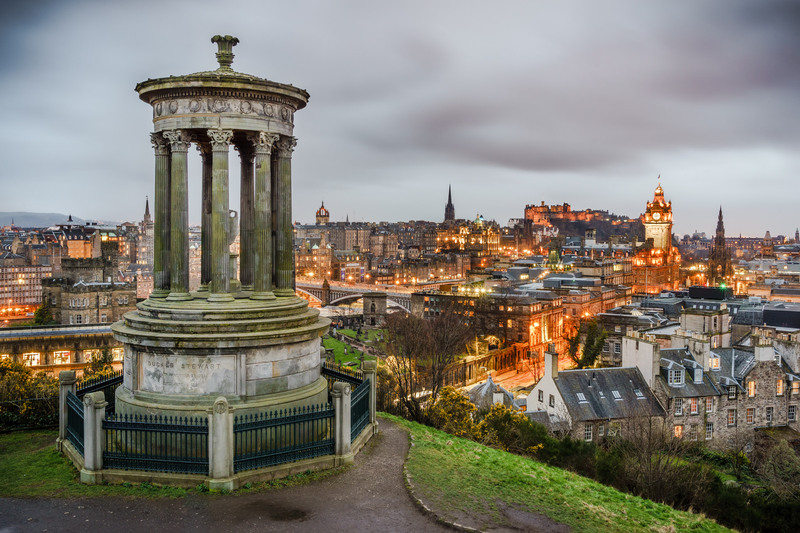 Edinburgh is home to an abundance of hotels, bed & breakfast and hostels. Personally speaking, I’d pick a hotel near the old town of Edinburgh. You do want to experience the famous pub culture and there’s always the chance that you might face…er..shall we say…problems with finding your way back to the hotel. 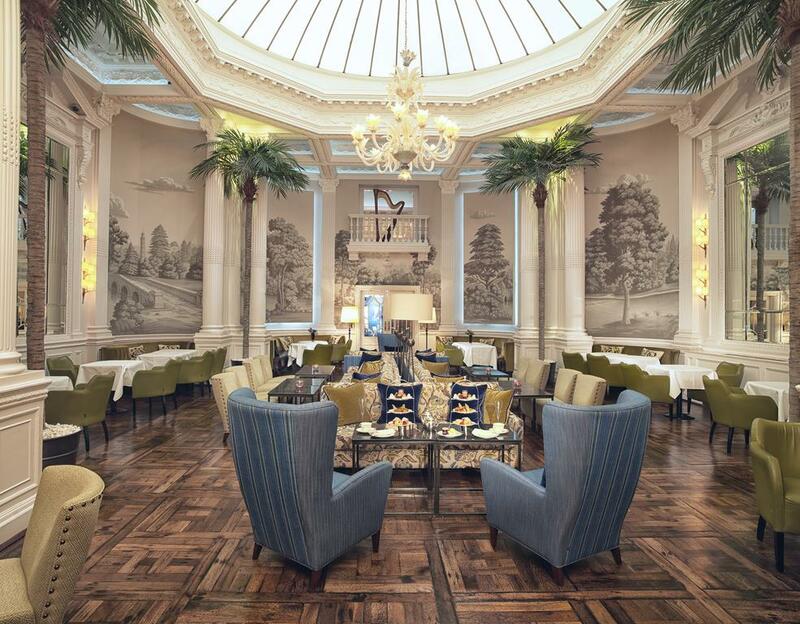 The best hotel to stay in Edinburgh is by far the Balmoral (check out prices & book here). I already mentioned it farther up in the list, and I don’t actually think there is an alternative. Sure, there are cheaper hotels, but to me, the hotel is an attraction in itself you really shouldn’t miss. Plus it is located right in the middle of the Royal Mile and thus the ideal spot to start and end your tour through Edinburgh. Another beautiful hotel is the Principal Edinburgh George Street. Very classy, very stylish and also in an excellent location. They got a rooftop bar, which will be quite lovely in summer! 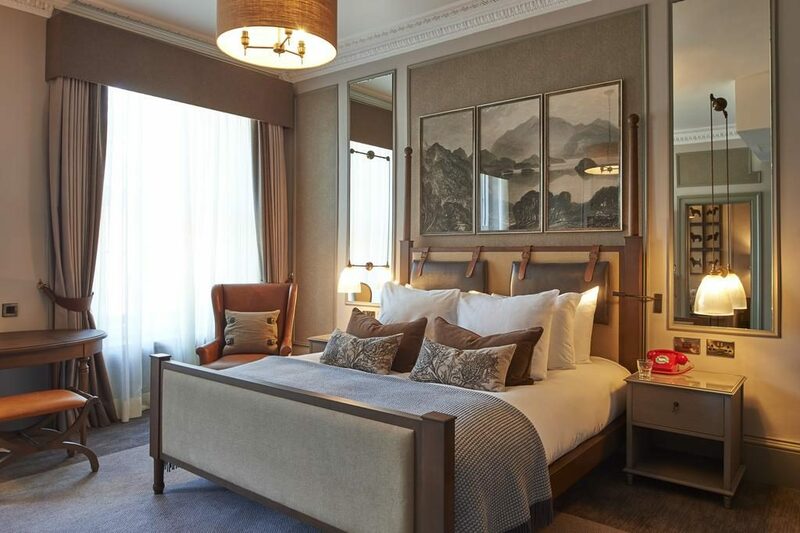 Last, but certainly not least, you could option to stay at the Waldorf Astoria Edinburgh – also called the Caledonian. They even have a big spa and it’s one of the view hotels in Edinburgh with a pool. So, if you are looking for a place to wash away the sores of the day, then this is certainly your best option! Okay, so this was my guide to things to do in Edinburgh. If you got any questions or suggestions, don’t be afraid to ask them in the comments below. Oh, and don’t forget to pin this for later. I have visited Edinburgh in 2013 summer , but could not see many places due to time constraints . A truly nice place with nice people . If time gives an opportunity , would definitely like to visit once again . And if you’re from Glasgow you’d say the best thing about Edinburgh is the road out of town! Years ago there was a stone building who’s name I’ve forgotten but perhaps its the Scott Monument. It was open once a week for about 2 hours in the afternoon. I happened to be there at the right time and paid to walk up a narrow staircase. The higher up it went, the narrow it got and the height decreased, and the ceiling got closer and closer too. I’m a petite and even I was getting worried! There was a woman walking up in front of me and she was a little on the hefty side and had to turn sideways at some point to continue up, and she wasn’t really even all that overweight. All I could think was if she got stuck I would still be able to turn around and get out! Well, I went to Glasgow as well and could well imagine that it is actually the more livable city…lots of students, bars, pubs and restaurants. Went to the bagpipe championships in one of the suburbs last year, my THAT was fun! Oh and btw…yes that sounds like the Scott Monument. Though, I think it is open every day now. I have visited Edinburgh twice but havent seen all of these things. I guess I have to go back one more time LOL.